Legend says that brewing tea dates back to around 2737 BC, when tea leaves fell into water being boiled for Emperor Shennong of China. There does not appear to be any hard evidence of tea being discovered this way, but evidence we do have suggests that brewing tea did indeed likely start in China, first as part of a medicinal elixir. 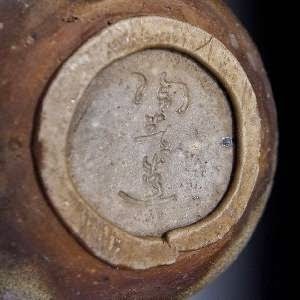 The first documented reference to this is found during the Shang Dynasty (1600 BC to 1046 BC). By the Qin Dynasty in the third century BC, it had become a relatively popular drink using just the tea (camellia sinensis), rather than mixed with other things as seems to have been common when used medicinally. From the beginning until the early 20th century, very little innovation came about in terms of the common method of brewing tea. This all changed in 1901. Contrary to popular belief (and what every single tea manufacturer I could find said on their websites, and many-a-tea history book and paper consulted also stated), it was not tea merchant Thomas Sullivan who invented the tea bag in 1908. While he did (probably independently, given his reported design was quite inferior to the original) invent a tea bag that year, he was beat out by about seven years by Roberta C. Lawson and Mary Molaren of Milwaukee, Wisconsin. On August 26, 1901, the two intrepid women filed a patent (US723287) for a rather unique (at the time) "Tea-Leaf Holder" that is remarkably similar to the modern tea bag. 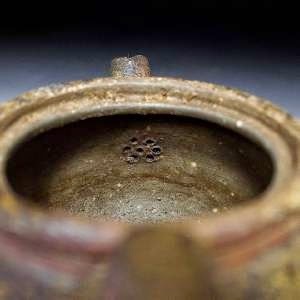 They had identified an issue with the way tea had been commonly brewed for thousands of years. In their own words, the traditional method of having to brew a whole pot at a time, involves the use of a considerable quantity of tea-leaves to prepare the desired supply of tea, and the tea, if not used directly, soon becomes stale or wanting in freshness, and therefore unsatisfactory, and frequently a large portion of the tea thus prepared and not used directly has to be thrown away, thus involving much waste and corresponding expense. Thus, they invented an open-meshed woven cotton bag, "folded over upon itself and stitched along its side edges, forming a pocket-like construction having a flap at its open end... with the flap at the upper end folded down over the top end of the pocket and inclosed..."
A small portion of tea was then contained inside the enclosed cotton-mesh bag and allowed the preparer to place it "in a cup and have water poured thereon to produce only a cup of tea fresh for immediate use. By this means only so much of tea-leaves is used as is required for the single cup of tea, and thereby a cup of fresh. fragrant tea is prepared..."
About two years after the ladies filed their patent, it was granted on March 24, 1903. However, seemingly they were unsuccessful at bringing this to market, at least on any widespread scale that would have registered in documented history. This brings us to Thomas Sullivan. Sullivan worked as a tea importer in New York when he (supposedly) accidentally invented tea bags in 1908. The story goes that Sullivan began sending small silk bags containing samples of the various forms of tea he sold to his customers as a way of encouraging sales. The "accident" part is that a number of those people who he sent the bags of tea to decided to use the bag as something of a tea infuser, rather than opening the bags up and brewing the tea normally. As with Lawson and Molaren's aforementioned invention, this allowed a person to make a single cup of tea, rather than an entire pot, and made for much more convenient clean up- when done, simply toss the bag. No need to clean out all the tea leaves from the pot and strainer or infuser. The little marketing campaign worked and orders started rolling in, which Sullivan initially filled via standard containers of loose-leaf tea. Customers who had used the bags as infusers complained and Sullivan soon began offering his tea once again in bags. However, silk bags weren't ideal for steeping standard loose-leaf tea, due to being a little too fine and expensive for single serve. He, thus, replaced the silk of the original sample bags with gauze and then further tweaked things for better steeping by filling the tea bags with fannings, the broken tea stalks, and tea dust leftover from processing the tea. Sullivan then began heavily marketing his little innovation and the tea bag was on its way to becoming a household staple. How much of this story is true is difficult to discern. While it does appear there was a tea merchant named Thomas Sullivan who helped popularize selling tea in single-serve bags (as well as in larger tea bags for brewing whole pots), there seems to be little in the way of documented evidence backing up the individual bits of the oft-repeated story. Whatever the case, we do know that commercial tea bags in the early days were not, on the whole, as good as Roberta Lawson and Mary Molaren's original design, other than perhaps the later addition of a string to pull the bags out of the hot water when steeping was complete. You see, early bags often used glue to seal the tea in, rather than a folded, sewn bag. This glue then steeped along with the tea, greatly affecting the flavor. Various early fabrics used also often negatively impacted the taste. However, despite many companies early designs being less than ideal at producing the desired taste, convenience won out, and, partially thanks to WWI with certain countries' soldiers being given tea bags as part of their rations, the tea bag began to rise in popularity significantly by, and then during, the 1920s. However, while Americans relatively quickly embraced the tea bag, the British viewed the invention with skepticism and a bit of upturned noses. Shortages of the materials used to make tea bags during World War II also helped keep the tea bag unpopular in the UK, despite the convenience factor and that by this time the tea bag was mostly perfected in terms of limiting its influence on the taste of the tea. However, when the 1950s hit, when products making common household tasks easier began becoming all the rage, the tea bag saw a huge surge in popularity, and for the first time started gaining traction in the UK. By the late 1950s, the tea bag had gone from virtually unavailable in the UK to controlling about 3% of the market, beginning its slow and steady climb. As of 2008, tea bags made up 96% of the tea market in the UK, a total surprisingly more than in the United States around that same time, where tea bags only held about a 90% share vs. loose-leaf tea. I recently went to my local teashop to catch up with my tea drinking buddies. We would sample the teas available at the tea shops (sometimes our own tea as well) and looked at the various teapots for sale. I would normally try to buy something from the teashop …... a personal gesture, a small reciprocation for hosting me to these tea sessions while I was there. The teashop had a few of the 2005 Hong Tai Chang cakes left and I bought one cake. I realized that this cake is now $50, twice as much as I had paid from this same teashop 5 years ago. I have a few of these cakes and had stashed them away in my tea cupboard but buying one more piece seem a bit extravagant especially at double the price. This 400g ripe cake remains one of my favorite ripe tea. I enjoy that unique Hong Tai Chang taste and aroma. I find that you have to break up this tea cake into pieces and storing in your tea caddy for a week before drinking. In addition, adding a bit more tea leaves in a tea session would be ideal in appreciating this Hong Tai Chang cake. The aroma has the scent of old antiques. It is like walking into an antique shop where you smell old wood and leather furniture and old books. And….somewhere in the drink is a delightful, sweet, toasty aftertaste. So is this tea worth $50? For a simple discussion…. if I can break up this tea into 50 portions (each portion makes or is used for a tea session), one brewing session would cost me a buck. $1 could also get me a can of soda…………but yes, I believe that my readers and I are comfortable with a tea session that costs about a couple of dollars each. Most importantly, I am grateful and thankful I can have my daily cup of tea. When I saw this teapot on the internet, I was simply enchanted. 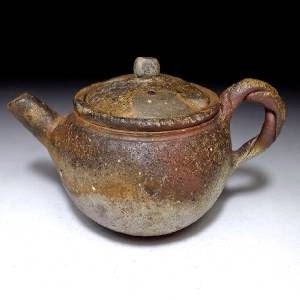 I was thinking of the right adjectives to properly describe this teapot - burnt, soiled, rusted or even buried. I am sure you may have a different description of this teapot. 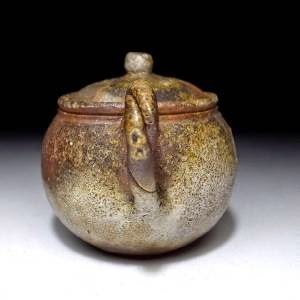 This is a Japanese bizen teapot. This kind of pottery is characterized by the unique use of wood fired kilns where the ashes are 'allowed' to fly within the kiln when such pottery are being fired. The ashes, in turn might scorch, burn or even get embedded on the surface of these pottery, thus creating the unique look of bizen pottery. This is my second bizen ware purchase. 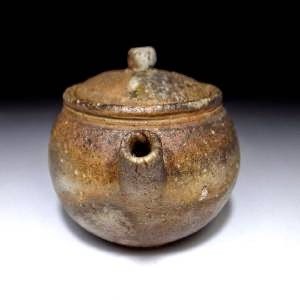 My earlier purchase (see last pix) was a bizen tea brewing set (link). 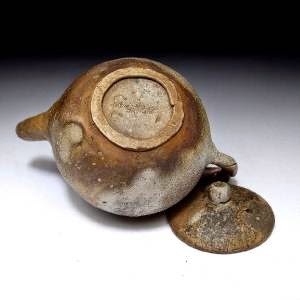 You will notice that the bizen tea set had pronounced scorched marks but there were less ash being incorporated on the surface of the tea set during the firing process. My bizen teapot can hold about 160ml of tea. 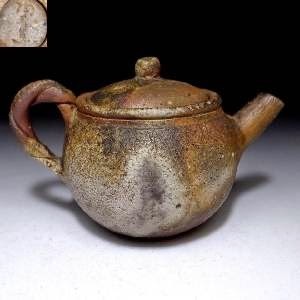 It is similar in size to my purion teapot and a couple of my Chinese clay teapots. It would be interesting to see how this teapot compares, in terms of brewing, with my other teapots. Stay tuned for the royal teapot rumble coming this summer ! One of my earliest blogs in 2009 (wow its already 6 years) was my view on buying tea on the internet (link). In that blog, I mentioned that I purchased my tea on the internet as the tea may not be available in my area or it could be more expensive at my local teashops. I still think these reasons are valid today. I had also highlighted 2 online teashops that I had patronized and had good dealings with them They were Awazon Tea and Yunnan Sourcing. I had visited both proprietors in Kunming and found them to be extremely friendly and knowledgable in their tea. Today, there are many good online retailers in the internet, marketing pu erh and other quality Chinese tea as well. Scott Wilson of Yunnan Sourcing is a good friend of mine. An American who speaks fluent Mandarin, he was to me (still is) the 'candy shop of tea' on the internet. Today, I continue to be amazed by his wide range of tea and tea ware for sale. Browsing his selection of tea makes a good pastime for the tea collector. In one of my many orders I made with Yunnan Sourcing in 2009, I had included two 2008 'wild tree raw puerh brick of Dehong'. This tea was one of Scott's earliest house brand tea. His description of this tea - "An incredibly fantastic raw Pu-erh made from Pu-erh tree leaves that have a purplish tinge when picked. The resulting brick is darker. The quality of the leaves and the meticulous processing ensures excellent storage and aging potential. At the same time, it is one the best 2008 raw Pu-erhs to drink. The infused liquor is golden and is almost completely without bitterness. CLARITY, CLARITY, CLARITY! This tea brick is composed of entirely spring 2008 raw material from the exact same area as the 2005 production. This year Yunnan Sourcing is proud to be the exclusive producer and distributor of this very special tea! We have produced exactly 460 bricks in total!" Scott retail price was US$25 for this 500g brick in 2009. US$25 in 2009 for pu erh was to me an expensive purchase. Let me explain. Pu erh tea in 2009 could be bought at much lower prices. My readers (and even a few comments on me in tea forums) may not believe me when I say many pu erh cakes and tea were available in 2009 for under US$10. Then, newly produced Dayi 7542 and 7572 were about $10 and lesser known brands was sold at about US$5-7, and yes, were even available in Yunnan Sourcing's store as well. Today, prices of tea are higher due to higher costs and overheads. The 2011 version of this wild Dehong today retails for $52. You will noticed that this 500g tea brick is wrapped in a bamboo leaf and tied with bamboo strips. Compression of my 2008 brick is high and I needed a tea pick to pry apart this brick. The tea leaves appear more blackish in color. This may be due to the purple tea leaves that were used for this tea. This tea is very aromatic when brewed, giving out a nice mix of flavors. The aroma is a mix of dried fruits and herbs with a sweet woody hint in the aftertaste. I could detect a minty, almost like a eucalyptus scent in the cup. Slightly sweaty sensation after the tea session. Nice overall feel. This tea is good. Die die must try!